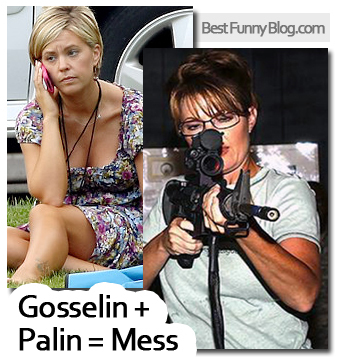 Sunday night's (Dec. 12) episode of Sarah Palin's Alaska featuring fellow TLC reality family the Gosselins topped last week's viewership low, but fell short of the first and third week-numbers, continuing the series roller coaster ride through the ratings. Alaska earned a 2.1 household rating and 3.1 million total viewers, according to Nielsen fast nationals, up from 2.8 million viewers the prior week. The reality series has had an uneven performance in the ratings through its first several episodes. After its record-setting 5 million-viewer debut, Alaska fell to 3 million in its second week before it bounced up to 3.5 million in its third. You would think that with two of TLC's biggest "stars," ratings would have been much higher. 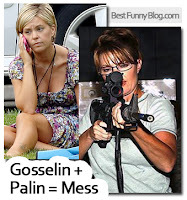 While Palin's show saw a slight increase from the week before, it shows that the only staying power Palin commands is derived from gimmicks. Ratings getting a bit low? Nobody's talking about you in the news?